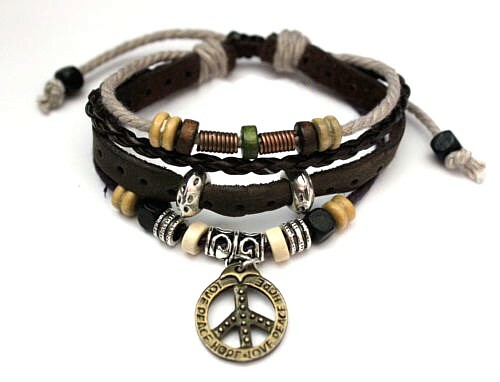 Mega-mix of colour and texture featuring Wooden Beads, Metal, Stone and a Peace symbol. 100% handmade! Unique design, great gift! Adjustable length.